Free online easy to crochet hat pattern for women, kids. This is a simple crochet hat made in double crochet stitches that anyone can make in a few hours. The process of making this beautiful hat we divided on 3 parts. In this first part of our tutorial we begin the work by crocheting a crown of a hat: work 5 rounds of double crochet stitches increasing stitch count in every round. Once you complete the crown work the second part that is between the crown and a body and then the body of hat. 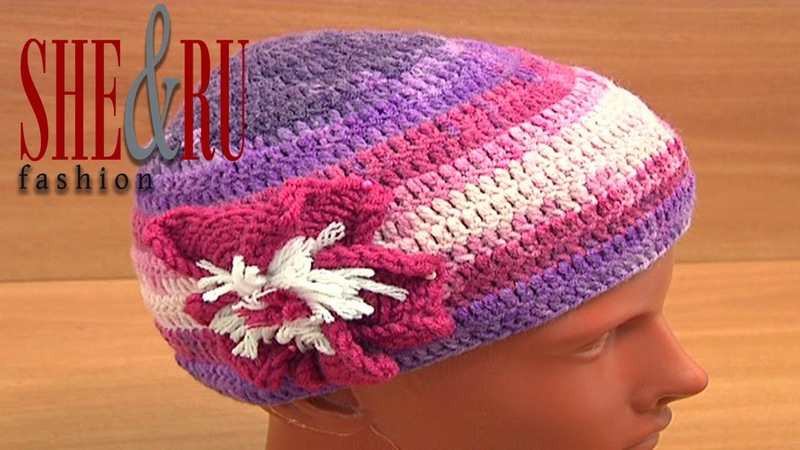 Continue follow the tutorial 2 part 2 and part 3 to complete this easy to crochet hat. Thanks for watching!